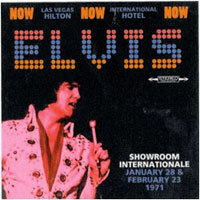 A new box set has been announced Elvis at the Las vegas Hilton live in the showroom Internationale, January 28 & February 23, 1971. This box set includes 2 LP's in Heavy Colored vinyl and 2 CD version of the set. Reminds me of Showroom Internationale 1971....perhaps a "remake"....?...lol..